MICHAEL MISCIONE is a native New Yorker, a professional tour guide, and a historical activist. In 2006 Mr. Miscione was appointed Manhattan Borough Historian by Borough President Scott M. Stringer. As the borough’s official history booster he hosts history talks, ceremonies and tours. He fields questions from the media and public, and has written articles about New York City history for various publications. Mr. Miscione is well known for his ongoing efforts to secure recognition for Andrew H. Green, a forgotten 19th century master planner, reformer, and preservationist. Thanks largely to Mr. Miscione’s efforts the Parks Department named a new Manhattan park for Mr. Green. 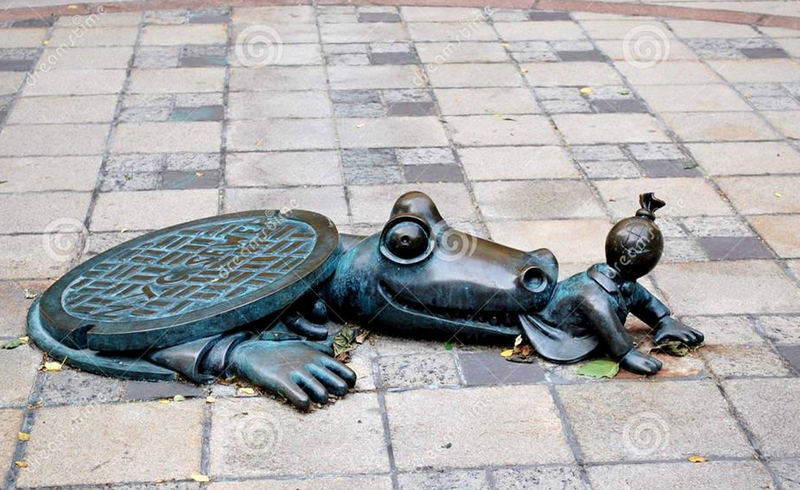 Every February 9th Mr. Miscione celebrates Alligators in the Sewers Day, an unofficial annual holiday he created to mark the birth of New York City’s greatest true urban legend.